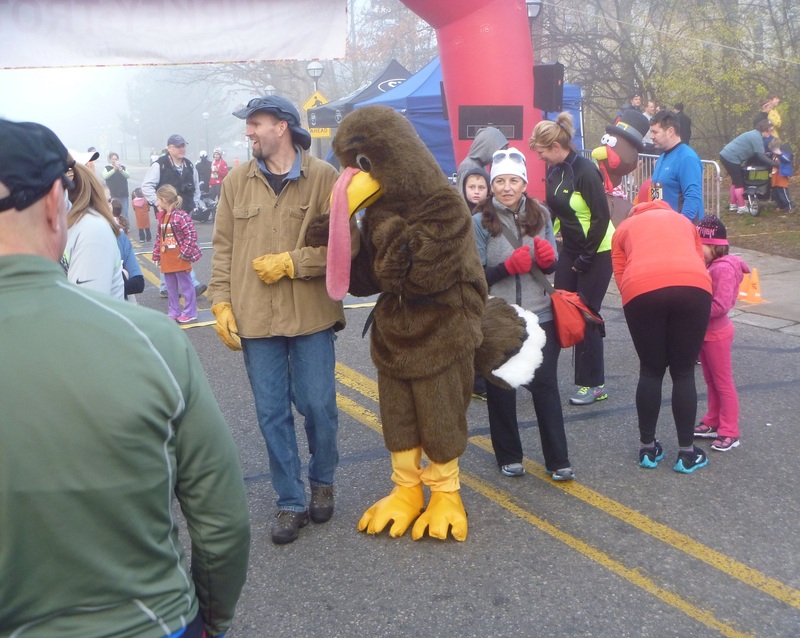 New AnnArbor.com Post: Hey, Turkey Trotters: Let’s say thanks! Today, Friday, was cold and gray, and I had to say goodbye to my daughter returning home to Virginia, and then go to work. All of which made me appreciate the day before that much more. It would have been hard to ask for a better day for Thanksgiving than yesterday, and our whole family was together enjoying a great dinner and each other’s company. But there was one event that day that I’d like to single out for some special thanks. Early Thursday morning, well before the festivities at our house began, I pulled on my running gear and headed out to The Turkey Trot on North Campus. It was a bit chilly, but the sun was coming out and spirits were high. Over 1,600 people, including entire families, turned out for the one mile “Tot Trot” and/or the 5K, and we were treated to a jazz trumpet version of the Star-Spangled Banner just before the race started. Everything about the race went well. There was plenty of parking, the events started on time, and there was a great turnout. There was even a Santa sighting. (I’m not sure if he ran the race or not.) And it all went so well due to all the preparation and hard work by everyone involved in it. So on this day after we all expressed our thanks for the blessings in our own lives, I’d like to express my gratitude to others for making yesterday’s race so enjoyable. Thank you to everyone who gave up part of their holiday to volunteer for the event. To those who set everything up before I arrived and took it all back down after I left. To those who stood at the halfway mark holding out cups of water; even though I was running too hard to take one, I still appreciated that you were there in case I needed it. And to the folks who stood at the corners and turns making sure I stayed on the course, thank you too. I was warm enough running, but standing there for at least two hours is something different. Thank you to the police and security officers who closed the streets and redirected traffic so the runners would be safe. You made it possible for me and others to focus on running a good race or just enjoying ourselves, and that meant a lot. Thank you to the sponsors who funded the equipment, the food and water, and the services needed for the race, and provided for advertising to get a good turnout. And thanks to everyone who brought food and used shoes to donate, and to those who collected and will distribute the donations. According to the website, proceeds from this year’s race will go to the Wounded Warrior Project. 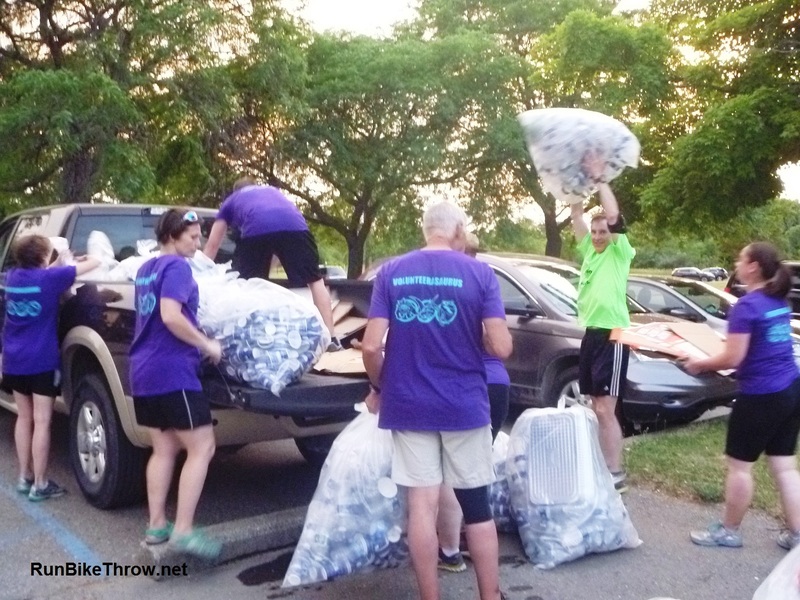 And a big thank you to Good Boy Events, the race organizers, who planned the event, made it happen, and will put the race proceeds and donations to good use by sponsoring local charities. I cannot imagine the work involved behind the scenes in putting everything together and making it run so smoothly that it seemed effortless. That’s real organization. 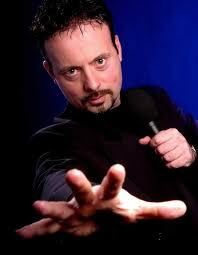 Were you there? Did you have a good time? If so, why not send an email to the organizers saying so? Or at the next race you run, say thanks to a volunteer, or a police officer, or the spectators cheering you on. Easy, free, and never fails to bring a smile. Finally, with all the races I’ve run this year, I decided to give back a little by volunteering to help set up at the Holiday Hustle in Dexter on Dec. 1 (and amazingly, they accepted). So come out and jingle it up with me! And if everything comes crashing down and chaos reigns in the streets, you’ll know whom to blame. Note: Normally, I post only an excerpt of my AnnArbor.com articles, but in this case I wanted to be sure all my “thank yous” got in here.But if you want to see the AnnArbor.com post, please click here. 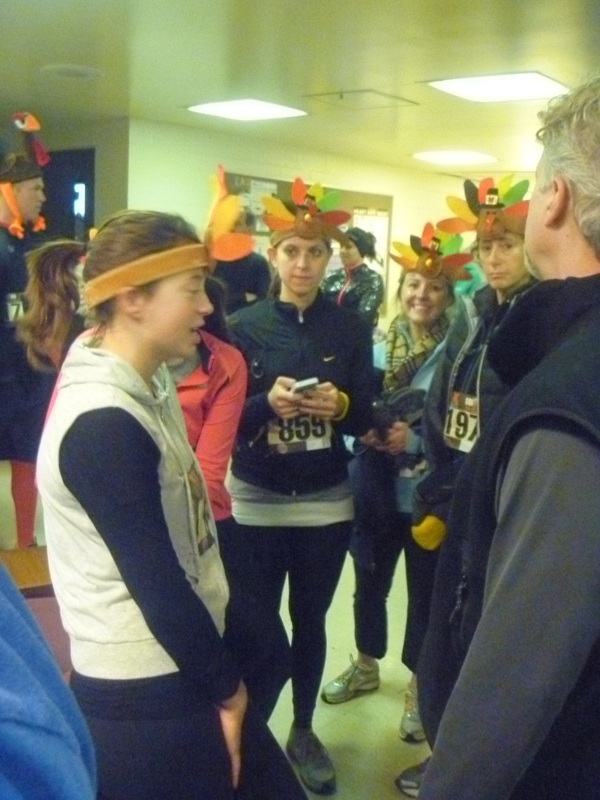 This entry was posted in AnnArbor.com, Running & Cycling and tagged Running, Thanksgiving, The Turkey Trot. Bookmark the permalink.